I usually only ever take quick snaps with my iPhone and so wondered how a macro type close up would look. 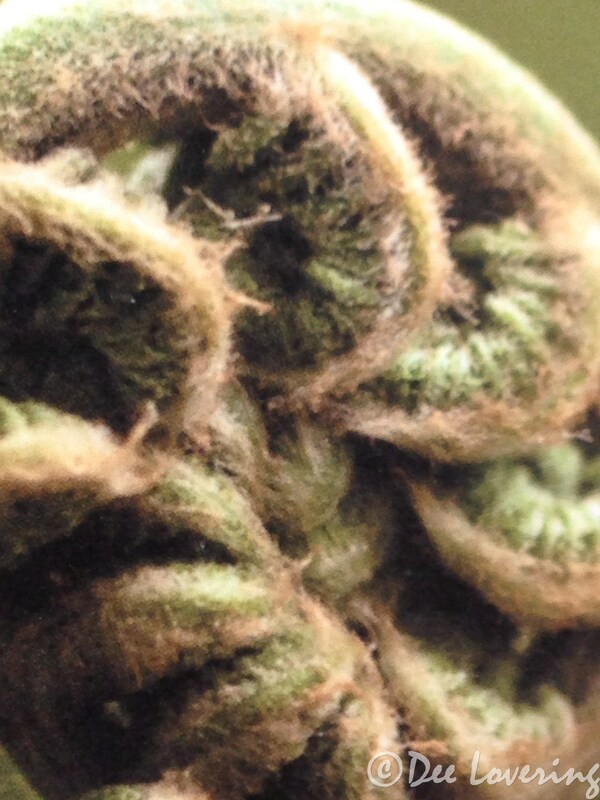 The first shot is of a baby fern frond I came across at the back of the garden, just starting to unfold. 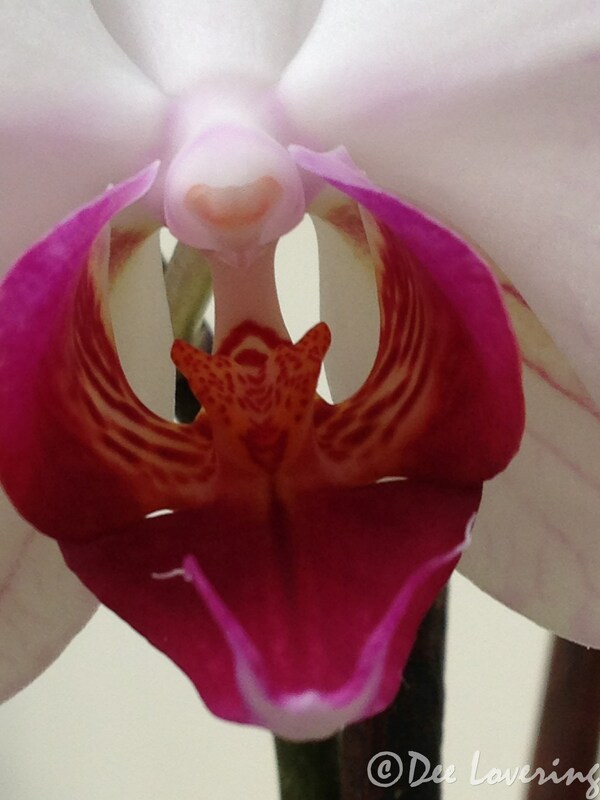 The next is one of the flowers on the orchid on top of the bookcase – I’ve always been fascinated by the way the centre of an orchid looks to me like a fierce predator. Hope you like them. Your phone macro shots are quite good! My phone would never do macro that well — actually, it won’t do macro at all, lol! Thank you Becky, I wasn’t sure how they would turn out , just zoomed in and hoped for the best!